While Mercedes-AMG is busy developing the next – 8th – generation of its SL roadster, the previous series is slowly beginning to show its age. Not in terms of raw engine performance, naturally; it still comes driven by a powerful turbocharged engine with 585 hp (436 kW) and 900 Nm (664 lbft) of torque at its disposal. Its design, on the other hand, starts to lag behind the ever-vigilant competition. Now, many tuners would be content with the idea of releasing a minor styling package for the car while leaving the powertrain intact. G-Power, however, decided to make it a true dark horse (or grey cardinal, if you wish) by further improving its engine specs. By means of a G-POWER Performance Software V3 chip, installation of a new cat-back exhaust system and some tweaks made to turbochargers, the tuner has succeeded in bringing the output up to a magnificent 800 hp (596 kW) along with 1,100 Nm (811 pound-feet) of torque. As a result, the modded roadster makes it from zero to 100 km/h (62 mph) in mere 3.5 seconds and can ultimately hit 340 km/h (211 mph) in a straight line. 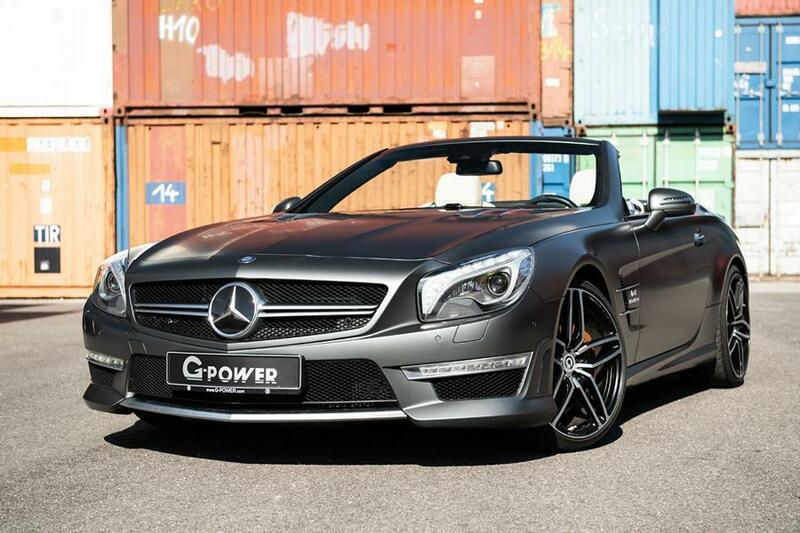 A set of in-house designed 21-inch Hurricane RR rims, clad in ZR21 performance rubber, and a lowered stance are the only visually apparent upgrades G-Power applied to its custom SL63.